so we built them a platform that elegantly conveys their principles. 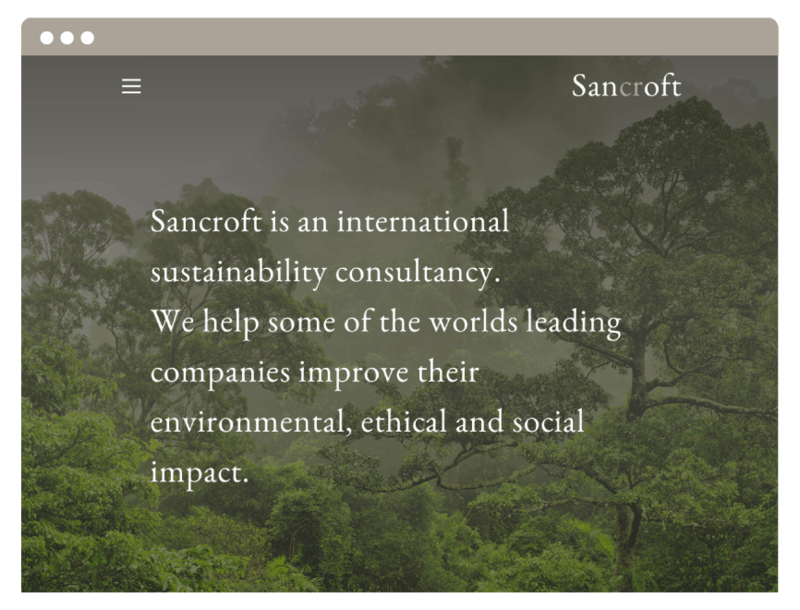 Sancroft aids some of the world’s leading companies in improving their environmental, ethical and social impact. We designed a website that echoes this stand-alone corporate message. 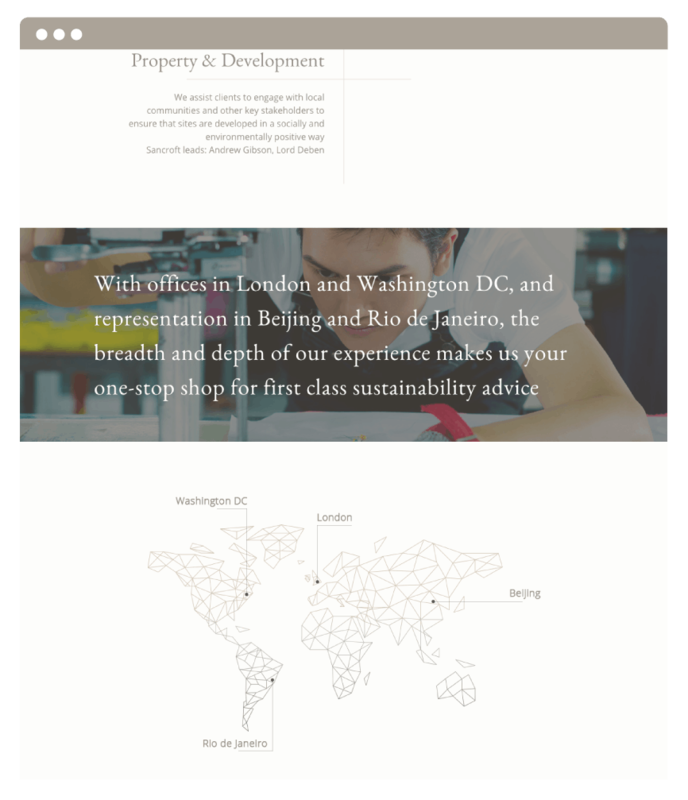 The unique style we developed breaks standard layout conventions and emphasises white space. 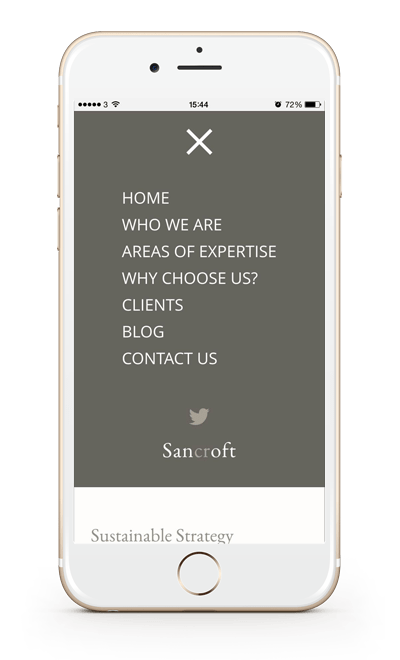 The design was shaped around rich images that convey the optimistic, grounded ideals of Sancroft. 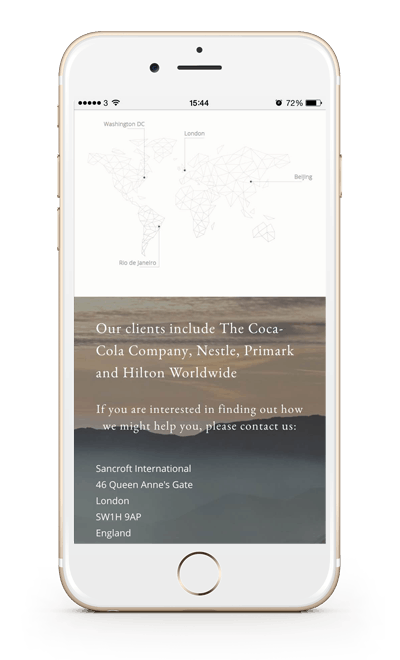 Keeping with their original branding we developed a neutral international tone, with a gentle colour palette and graceful transitions.